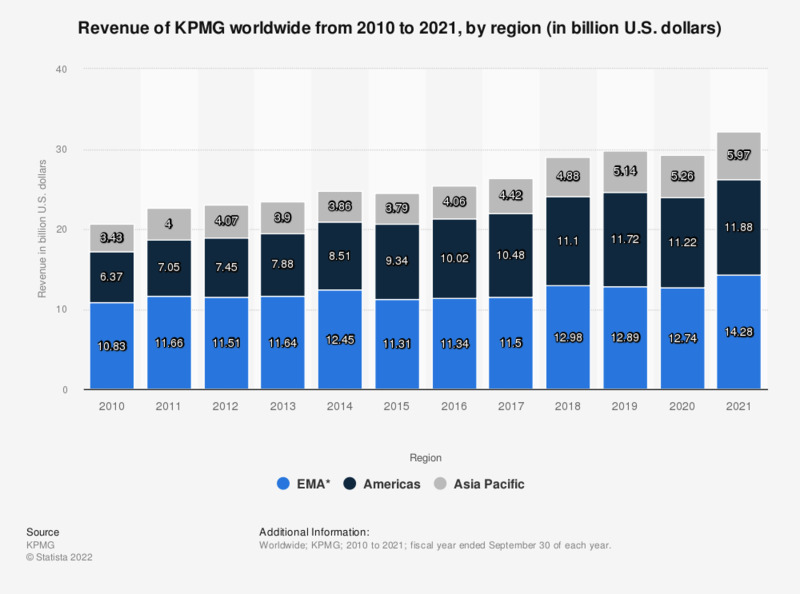 The statistic shows the revenue of KPMG worldwide from 2010 to 2018, by region. In the fiscal year of 2018, professional services company KPMG generated approximately 4.9 billion U.S. dollars in the Asia Pacific region. * EMEA = Europe, Middle East, Africa.